Reader Ivan Yong wrote to askST: "Which mirrorless camera would you recommend for a beginner to buy that has the capacity for good night photography?" 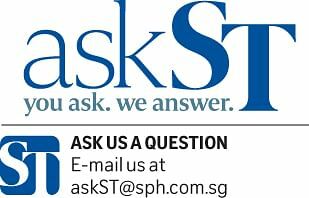 Deputy Tech Editor Trevor Tan answers the question. Mirrorless cameras are interchangeable-lens cameras that do not have a pentaprism with a mirror shutter mechanism found in DSLR. Shutterbugs use an electronic viewfinder, if there is one, or live view on their displays to compose pictures instead of an optical viewfinder in a DSLR. The main advantage of mirrorless cameras is its speed in autofocusing (AF) during video recording due to the lack of a mirror shutter mechanism. In addition, they tend to be smaller compared to DSLR cameras. In the past, mirrorless cameras tended to use smaller image sensors, such as 1-inch or Micro Four Thirds. But recently, many camera makers like Sony have packed APS-C full-frame image sensors - usually found in DSLR cameras - into their mirrorless cameras. Bigger image sensors provide more details, better image quality and smoother high ISO performance. If you are thinking of just grabbing a quick shot at night, you will need a camera with good high ISO performance. The higher the ISO, the higher the sensitivity of the image sensor, the faster the shutter speed you can use to prevent camera shake. For the same reason, you need a lens with a big aperture for more light to enter the image sensor. If you are a beginner looking for a good point-and-shoot night photography compact camera, you might want to check out high-end compact cameras, such as the Panasonic LX100 and the Sony Cyber-shot RX100 IV. These cameras have lenses with big apertures and big image sensors as well. Plus, they are not as expensive as those full-frame point-and-shoot cameras. However, if you want to future-proof yourself, you might want to get a mirrorless camera that you can buy new lenses for. Mirrorless cameras that are ideal for beginners, and require not too much initial investment, include the Olympus Pen E-PL7, Fujifilm X-T10 and the Sony A5100. But remember, you need to take into account the lens the camera uses. Different camera makers use different lens mounts. Once you are stuck with the lens and eco-system of a certain brand, you will find it hard to switch. Finally, a camera is a personal choice. Other factors include the camera's handling, weight, design and, ultimately, price. I recommend that you go down to the stores to touch and feel the cameras before making a purchase.